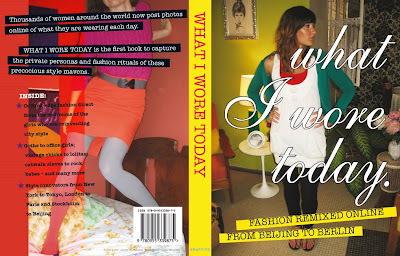 I can't say how excited I am about the What I Wore Today book finally coming out. It is so awesome to be part of this book. Wardrobe Remix is my favorite online community I have ever been a part of it, and it is great to have all of my favorite remixers in one book. I like when things like that happen. It makes the world seem smaller...I am all the way over here in England. Where can I order the book? I'd like to read it but unfortunately I haven't had success finding it.